To new readers: This page includes major spoilers to the story. You have been warned. This hot female detective used to be a girlfriend of Terry Mitchell. The two of them met still at the academy. Terry thought she was out of his league and couldn't believe his luck she was interested in him. After finishing academy, they started living together. 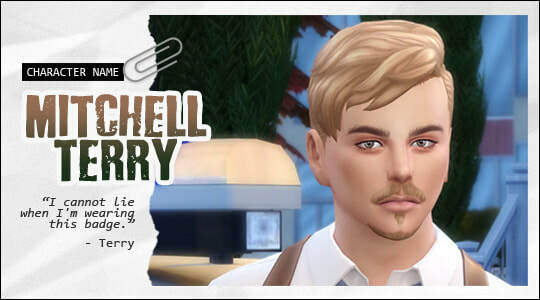 Anita was stationed in Willow Creek and Terry in Newcrest. Both of them were successful and rose from the ranks. When Anita was offered a better position in Newsrest PD, she accepted. It made her and Terry instant colleagues. It also meant the end of their relationship, because cops from the same PD can't date. Anita chose career over Terry without giving him any warning and broke his heart badly. Terry Mitchell's former cop partner. The two of them were investigating the disappearance of Beryl and Chris Heffner. Carl's theory was that Tony came for them and killed Beryl's husband. He was also one of the cops who had strong bias against Chris Heffner and him joining the police ranks because of who his father was. Big supporter of chief Johnson. ​Born with a silver spoon in her mouth and being the only child of a widowed Michael Castelli, Marissa was used to get everything she pointed her finger at. When Tony Corleonesi started working with her father, Marissa took it into her head she must have him too. Regardless the age difference between them, she became infatuated with him and fantasized about their future together. However Tony wasn't interested in her. His heart already belonged to Beryl Heffner. When Marissa found out, she had to see her rival in person. She invited the Heffners to a fundraiser she organized in hopes Tony would see that Beryl was plain compared to herself. Things didn't go as she had planned. She lost Tony's friendship. However she met Beryl's younger brother Brian at the fundraiser. He made her open her eyes and see how childish she had been acting. He also find a way into her heart and she ended up marrying him. ​Father of Marissa. Former legacy spare. When he didn't become a legacy heir himself he made it his mission to destroy other legacy families. Hired Tony Corleonesi to help him destroy the Heffner legacy by obtaining the family armor, the key item that every legacy starts with. What he didn't expect was that Tony would fall for the heiress and decides to help her instead of playing a part in destroying her family. Castelli enraged that Tony didn't finish his task and humiliated his daughter at a fundraiser organized by her, sought Mr. Lien. He revealed to him the truth about his lover's death, which Tony was responsible for, in hopes that Lien would make Tony pay. Level 3 lab technician at Better Future Labs and a colleague of Kellie Heffner. At first he had been very nice to Kellie, until she refused his romantic advances. 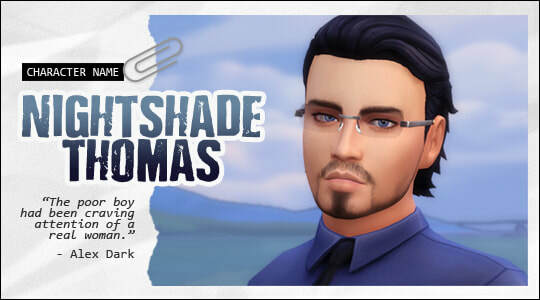 Thomas Nightshade, whom Kellie dated at the time, got into fist fight with Gabriel and lost. As a payback Thomas sent one of his father's security guards to teach Gabriel a lesson. After that Gabriel resorted to sneakier ways to make Kellie's life unpleasant. He set up series of accidents involving chemicals for her. Eventually he became a victim of an "accident" set up for him by Tony Corleonesi who had enough of his mistreat of Kellie. In the consequent fire Gabriel suffered serious burns that disfigured his pretty face beyond recognition. Very little is known about Tony's past. The pieces of information that Police managed to gather suggest he used to work for one of the most powerful crime families in Italy, the Salvatores. What made him leave his homeland and become a freelance contract killer remains a mystery just as his current whereabouts. He unknowingly consumed an experimental concoction that contained alien genetic material. 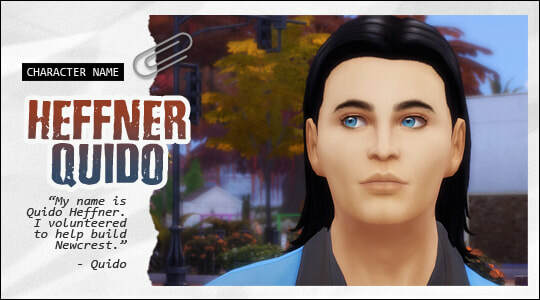 ​Father of Chris Heffner, the Newcrest heir. A gallery owner by day and an assassin and mercenary by night. 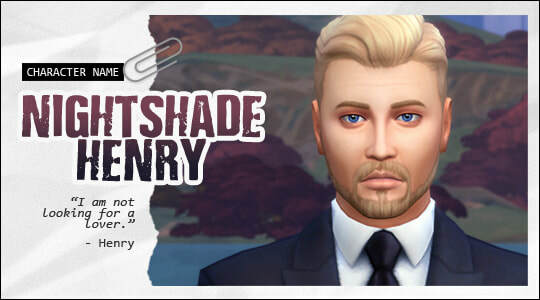 Alex Dark was hired by an interested party to watch over Henry Nightshade and his illegal activities in Newcrest. The best way to do it was to prove herself invaluable to him. What she didn't count on was to take a fancy to the widowed businessman and councilman. She secretly switched loyalties. Resistant to her charms Henry poses a great challenge to her. He's becoming an obsession of hers. Beware any woman who would be foolish enough to try to steal Henry away from her. 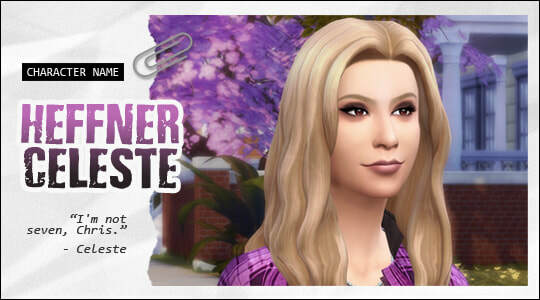 She's willing to do practically anything for him, including seducing his son Thomas to lure him away from his inconvenient girlfriend Kellie Heffner. Street smart entrepreneur and conman Victor Feng is the only known associate of Tony Corleonesi. He holds a great respect for the aforesaid. 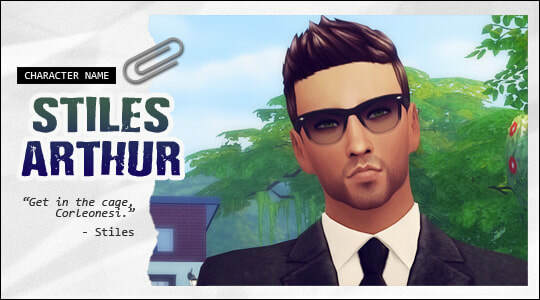 Owns a cleaning company and several other small businesses in San Myshuno. Provided his cleaning services to Tony numerous times. His infamous black van often plays a part in the cleaning process. Best friend and high school mate of Chris Heffner. The two of them lost touch with each other after high school, mostly due to Chris' becoming more and more withdrawn after his mother's death. Finn got married to a pretty Newcrest florist not long ago. The couple is expecting their first baby. ​They live in an appartment above the flower shop. It is the same shop Emily Johnson buys her gardening supplies at. Newcrest florist and the wife of Finn Foster. 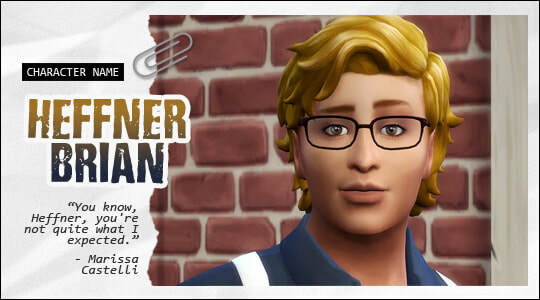 Like many young ladies of Newcrest and surrounding areas she used to have a crush on Chris Heffner. She was lucky enough to go out with him a few times. Needless to say the two of them didn't spend the whole night only outside. Her husband is blissfully unaware of this fact. 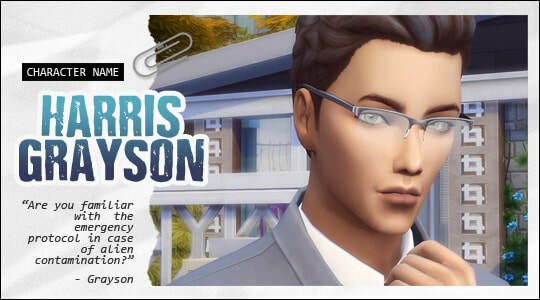 Soon after he had his heart broken by Knight Richardson, owner of the corporation Grayson worked for, he applied for a new job in Better Future Labs. 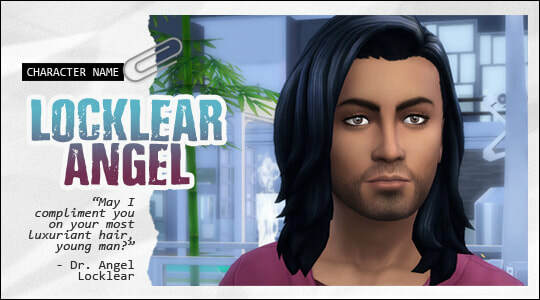 He was accepted and moved to Newcrest ready to start a new life far away from his ex-boyfriend. 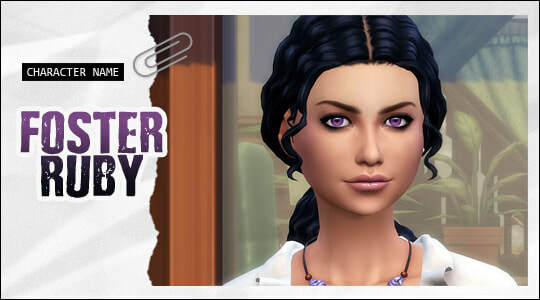 At his new work he befriended Kellie Heffner, adopted sister of the Newcrest heir. The two of them were assigned to a secret project called Morpheus, involving unethical experiments on aliens. When Kellie decided to take action, Grayson didn't follow her example, although he silently approved of it. He wasn't willing to risk losing his new job. However, he at least suggested a plan that proved crucial to Kellie's success. 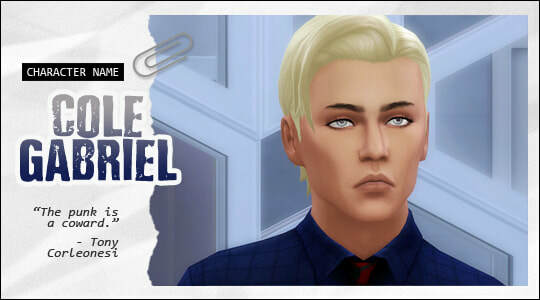 He's currently in a romantic relationship with Marco Orellana, captain of the Newcrest Fire Brigade. Generation 3 heiress. First girl born into the Heffner family. Somewhat naive, beautiful, with a talent for music and poor decisions. In order to save her kidnapped baby brother Beryl secretly met with a stranger, who offered to help. It proved to be none other than the infamous Tony Corleonesi wanted by the police in several countries. Wordly and artful Tony was amused by Beryl's attempts to reform him at first, but eventually he fell in love with her innocent and open-hearted nature. Their brief affair had consequences, Tony left Beryl with a child. Not wanting to put her and his son in danger by making their relation known, he kept his distance and watched over them from afar. Due to intrigue of Marissa Castelli Tony's enemies learned about Beryl and Tony's son anyway. Beryl eventually paid the ultimate price for being Tony's love. Younger brother of Beryl, middle of triplets. He was kidnapped as a baby. Thankfully it had no long-lasting effects on him. He's the thinker in the family. It takes a lot (or Tony Corleonesi) for Brian to lose his cool and fly off the handle. He married Marissa Castelli. They have three children together: Laura, Connor and Angela. Daughter of Beryl Heffner and Ronan Kane. She lost both her parents when she was still a baby and never got a chance to know them. She was raised by her older siblings, mostly by Kellie. 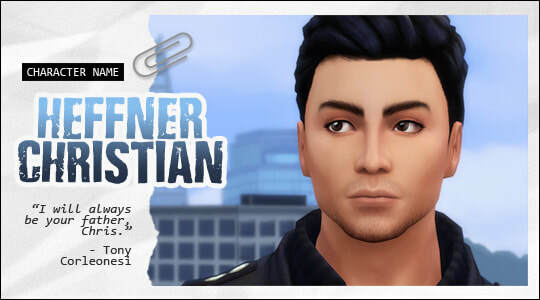 Celeste and her brother have been having trouble to bond with each other, mainly due to Chris being very withdrawn and coming across as unapproachable. 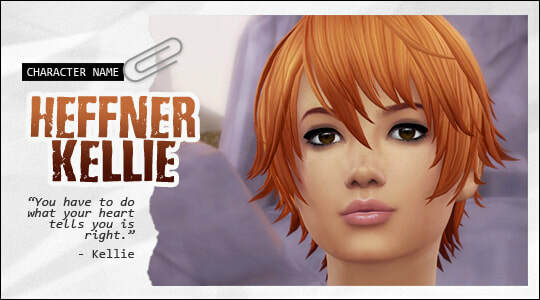 Things have gotten even worse after Kellie's disappearance. Chris assumed the role of Celeste's substitute parent too late. Most times he's at loss how to handle the now teen-aged girl. Celeste perceives his poor parenting attempts as a lack of care and it alienates her from him even more. Generation 4 heir. A love child of Beryl Heffner and the notorious Tony Corleonesi. Growing up without his father around he formed a very strong bond with his mother. Still a child, he took it upon himself to be the only man his mother needs and the valiant defender of her honor. He and his adopted sister Kellie both dreamed of becoming scientists. His life had been turned upside down, when he and his mother were kidnapped as instruments of vengeance against Tony Corleonesi. He was forced to watch as the kidnappers shot his mother death in front of him. He never fully recovered from the horrible experience and still suffers from survivor's guilt. He blames his father for the tragedy. He abandoned his dream to become a scientist and joined the police ranks instead. When he was met with distrust from some of his fellow officers and superiors because of who his father was, he decided to show where his loyalty lies once and for good. He lured his father into a trap and had him arrested. Kind-hearted to a fault Kellie always tries to see the best in people. She was adopted into the Heffner family. Chris Heffner literally picked her to be his sister. It may have been a reason why she had a crush on him as a teenager and why even as an adult she is willing to sacrifice her own happiness to ensure his. She has been trying relentlessly to reconcile him with his father. While possessing an exceptional talent for natural sciences she however lacks in social skill, which makes her oblivious to romantic advances and also vulnerable to those who might want to use her. She successfully landed a dream job in Better Future Labs only to become disillusioned by unethical practices taking place there. Her moral compass didn't allow her to idly watch and she took action, that led to her being falsely branded as accessory to arson and murder. 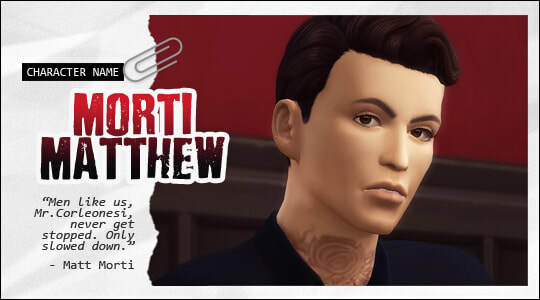 ​​The Founder of Newcrest and the Heffner blood line. Never met his parents, lived in an orphanage in terrible conditions until he and other three kids ran away. They were lucky when a good woman accidentaly discovered their shelter and decided to take them in. He married Summer Holiday and they had three sons together. He built the Samaritan Park in Newcrest. 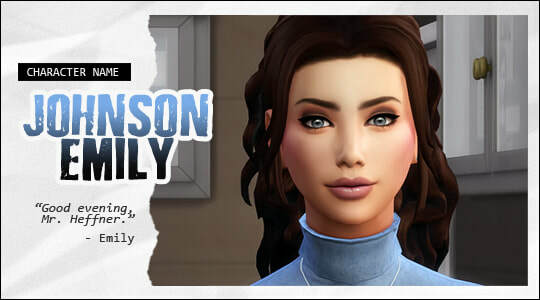 ​​As a wife of the chief of Newcrest PD Emily is well liked by the citizens. However rumours are starting to spread that she's a bit of an oddball. She isn't close friends with anyone in particular and rarely accepts an invitation to a tea from other housewives, always making excuses that she has to tend to her little daughter or to her flower garden. She lost both her parents in a rail accident shortly after her nineteenth birthday. Has no other living relatives. 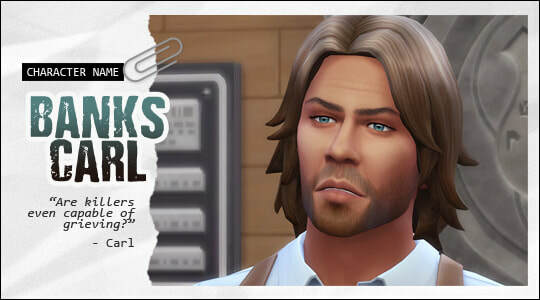 ​The Newcrest heir Chris Heffner harbours a secret crush on her. 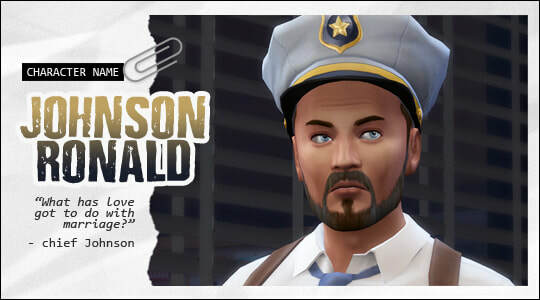 ​Chief of the Newcrest PD. Ambitious, hungry for power, Ron Johnson always plans ahead. A powerful man needs a trophy wife, he knew it long before he was promoted to the chief. The opportunity presented itself unexpectedly when his fellow officer and his wife died in a railway accident. Their young and very pretty daughter had a breakdown and needed help. Lots of it. It was a time well invested. 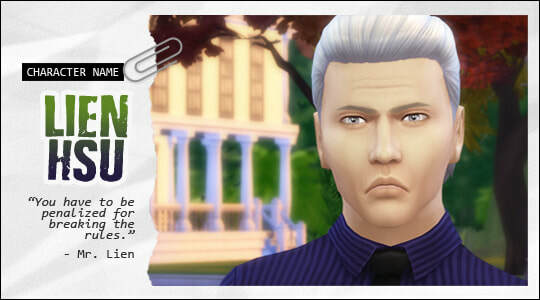 He despises the Newcrest heir, Chris Heffner, with passion. He believes the young man wields way too much power than is healthy for him. His next goal: become a member of the town council and find a way how to restrict the influence of the legacy family. He's controlling and manipulative. A neurosurgeon, husband of Beryl Heffner, father of Celeste Heffner. For a long time all Ronan knew and loved was his work. Then he met Beryl Heffner. 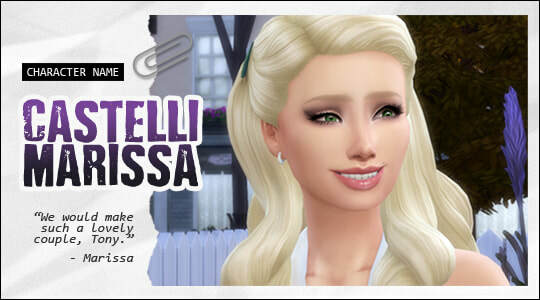 A beautiful, kind-hearted woman who won his heart in an instant only to break it later by cheating on him with her ex-lover, Tony Corleonesi. Still engaged to her, Ronan had only two options: break the engagement or forgive her and marry her. He chose to marry her, but not to forgive. Possessing a video recording of her and Tony, he threatened to expose their affair to public and use it at the court of law against her to win a custody of their child, if she didn't stop seeing Tony and play a good wife. Despite all his flaws Ronan died a hero, defending his wife and step son against kidnappers who came into their house. Hsu Lien also known as The Albino made his living by kidnapping rich kids and extortion. He and his lover kidnapped one of the Heffner babies, Brian. He's the man Tony Corleonesi has been furiously looking for to exact revenge on. ​However, Tony was responsible for the death of Mr. Lien's lover and disposing of her body. In retaliation Lien kidnapped both Tony's sons and their mothers and forced him to play a game for their lives. Tony broke the rules in attempt to save them. He managed to save everyone except for Beryl Heffner, who was shot point blank in front of her teenage son. Lien escaped and has been hiding from Tony ever since. Otherwise harmless and through and through good Dr. Locklear had somewhat unhealthy obsession with hair. He was determined to do anything to keep his beautiful flowy mane until old age. He would even go as far as to offer money to individuals with exceptionally fine hair in exchange for samples, and then conduct experiments and create his own hair products. He had been dating Beryl Heffner for a while, until Tony drove him out of town, ridding him of his most prized possession first - his mane. Terry is a man with strongly developed sense of justice. He loves being a cop. There is no other job he would rather do, except maybe for a prosecutor or a judge. 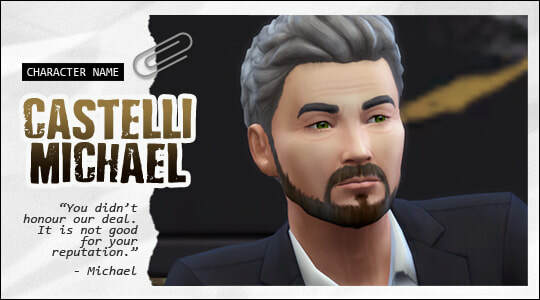 Out of the whole Newcrest PD he'd be the one least susceptible to bribery and corruption. He's been doing his best to teach Chris Heffner how to be a great detective and instill his values in him. With his now retired partner detective Carl Banks he was investigating the disappearance of Beryl Heffner and her son. He blames himself for not working faster and preventing death of the heiress. Harbours romantic feelings toward Kellie Heffner, but never acted on them, thinking himself too old for her. 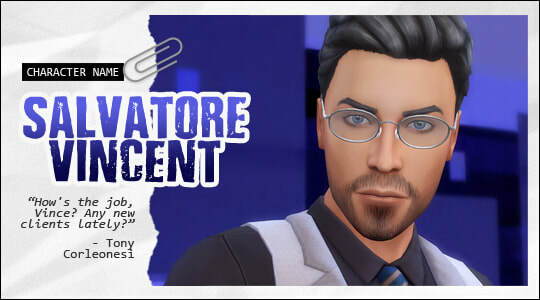 In crime circles better known as Mr. M. Former crime lord of Windenburg. He betrayed a person he held dear only to be later betrayed himself. 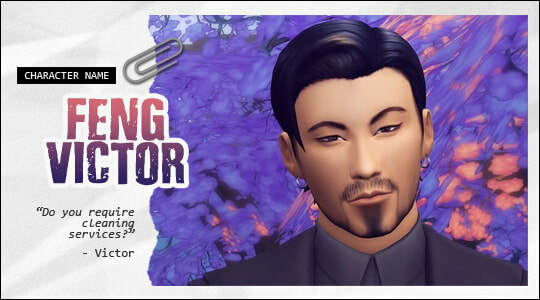 Transported all the way to Oasis Springs Federal Prison and isolated from his Windenburg contacts, he had no choice but to seek new friends and forge new alliances. Tony owes him a favor - a free kill - for provided information on whereabouts of Mr. Lien, his lover's killer. 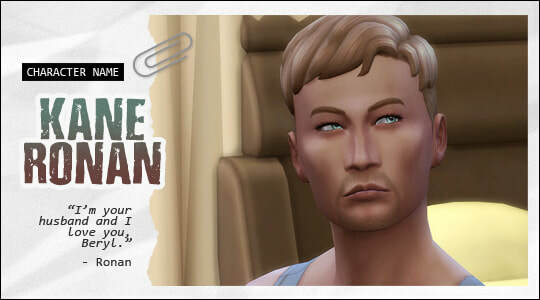 Newcrest councilman, CEO of NES (Nightshade Electronic Systems), arms dealer. Father of Raven and Thomas. He lost his wife to deadly illness and never got over it. He's married to his work now and to his illegal activities. When there was a power vacuum in the Newcrest underworld, he readily filled it. 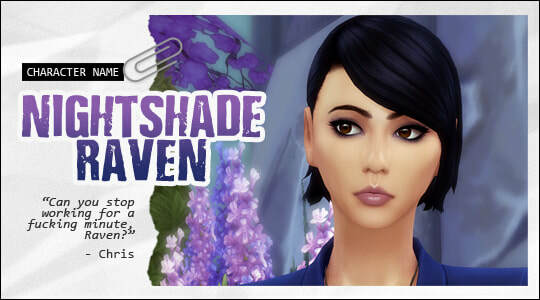 ​Self-assured and strong-willed Raven, daughter of successful businessman Henry Nightshade, has only one weakness - feelings for Chris Heffner, the Newcrest heir. Falling for him hard was never part of her plan to get herself a wealthy husband. She may be his girlfriend now, but their relationship seems to be strictly physical. She wants more. She craves his love as much as she craves love of her father, who has been ignoring her for years. On top of that her book writing attempts proved to be unsuccessful. The younger of the Nightshade siblings. Works for his father in NES. Will take over the family business one day. Used to date Kellie Heffner, but she never saw him as more than a friend and eventually they broke up. They haven't spoken to each other ever since. ​With his heart broken Thomas threw himself fully into work, just like his father had after losing the love of his life. Mother of Raven and Thomas. Beloved wife of Henry. Died at the age of 34. Her husband never stopped mourning her and never re-married. After her death he couldn't bring himself to speak with nor lay his eyes on their daughter Raven, who is a spitting image of her mother. It led to their estrangement. 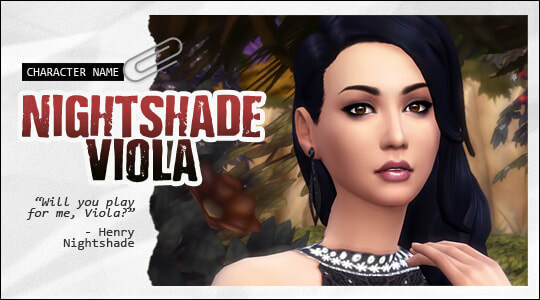 The Nightshade house is full of portraits of Viola. Henry often founds himself standing in front of one of them deep in thoughts. Tony's only true friend and his lawyer in one person. He knows all Tony's secrets, from his hideouts to his account balance. Tony trusts him unquestioninly. 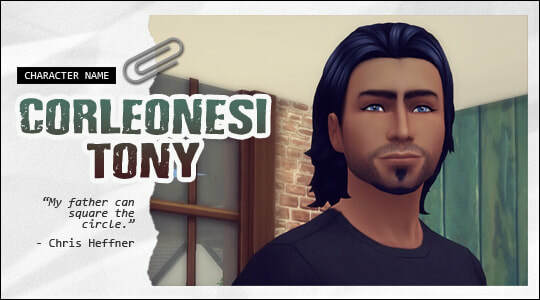 Their friendship goes back to the times when Tony worked for Giovanni Salvatore, Vincent's uncle. He failed to help Tony save his love Beryl Heffner. Thinks Chris Heffner has a lot to learn about family loyalty. Fierce and heartless are only two of many adjectives that characterize government agent Arthur Stiles, also secretly nicknamed The Hound by his colleagues. His job is his obsession, partially because it provides an outlet for his sadistic tendencies. He's no stranger to brutal torture techniques. But you know what they say, 'They that live by the sword shall die by the sword'. ​Poor all those souls who find themselves in his sights. 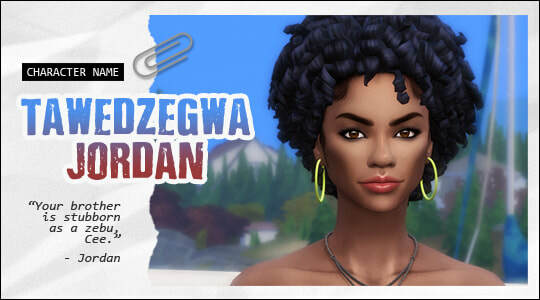 Jordan arrived to Newcrest all the way from Madagascar. 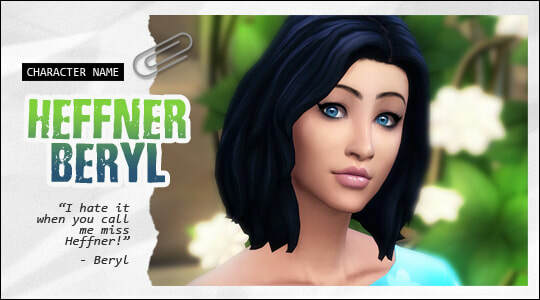 "This island is too small to hold your spirit," her father told her and sent her to live with her great aunt in Newcrest. Jordan embraced this opportunity to see the big world and meet new interesting people and maybe one day return back home armed with vast knowledge about...well, practically everything. Celeste Heffner befriended her in school. 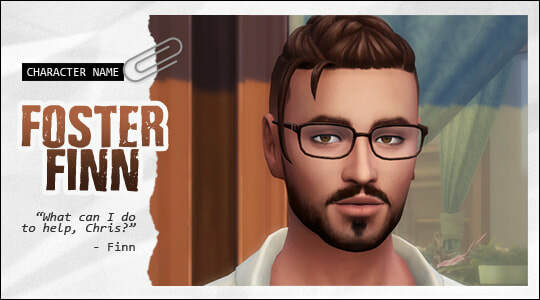 Jordan is intrigued by Celeste and her family as they seem to have some interesting relations going on and are clearly somehow tied to the town and the land it stands on. Also, Celeste seems to be crazy enough to match Jordan's own craziness which screams tons of fun ahead. 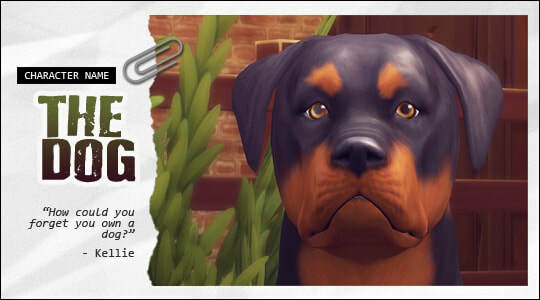 A stray that became Tony's loyal companion and sidekick. That's at least how she sees it. Only Watcher knows why of all people she picked a contract killer as her new master. She doesn't have a permanent name. She has been referred to as Cookie, Gelato, Bollicina, Regina, Cork, Zitta, Stinker, Zoe or simply Dog by Tony. More characters will be added as they appear in the story and based on their importance.